Have you ever wondered about White Rose Meaning In Love? There is no shortage of colors available when it comes to this flower variety. But while red roses are considered as a symbol of passion and love, white roses have its own significant meaning. Read on to learn about what it represents. For centuries, the subtle beauty of this particular rose has always captured the hearts of many. Similar to red roses, white roses have always had a strong importance and undeniable significance in various different cultures. They are displayed in various occasion. More specifically particular occasions that call for a quiet beauty that signifies remembrance and reverence. Regardless of whether the reverence in question a somber one, or perhaps more stately. 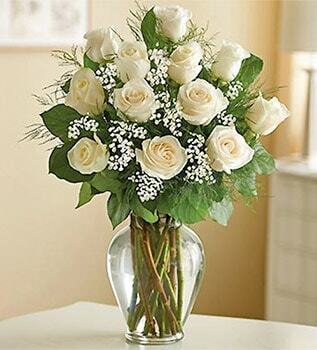 White rose arrangement has never failed to deliver the right gesture. Initially, white roses were associated with the Goddess of Love and Beauty. All roses in Roman times were white, until Aphrodite accidentally pricked herself and subsequently turned them as red as blood. Red roses may be considered as a symbol of love and passion. With the previously mentioned Roman belief, white roses are often used as a symbol of a hopeful beginning. This is the primary reason suitors in the Victorian era gifted a bouquet of white roses to their love interests. Such practice was done in order to signify their intention of pursuing the latter, and the beginning of their courtship. During the time of war in the 14th century, the white rose was used as a heraldic sign. The Duke of York at the time was battling the Lancasters, who adopted Red Rose as its sign. However, it was not until the 1800s did the white roses begin to be seen for its romantic side. Queen Victoria singlehandedly started the tradition of using white roses for her wedding in the year 1840.
Who would have thought that white roses were initially the most popular symbol of true love? However, unlike red roses, white roses may be used to express a myriad of different emotions and messages. Yes, love is not the only sentiment that is closely tied to this elegant blossom. This versatility is another factor that makes it a perfect choice for whatever occasion you may have. 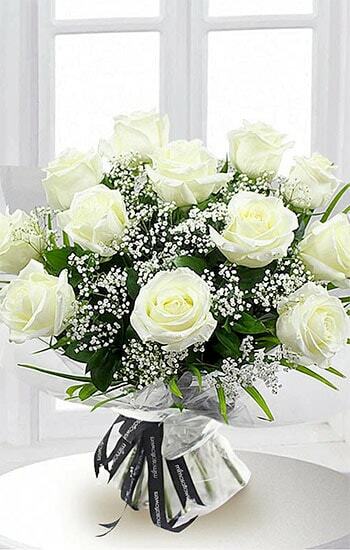 White roses carry a sense of peace and serenity. Not only that, they also mean honor and remembrance, which is the primary reason they are frequently used at memorials. Those looking for ways to pay respect to the departed and extend sympathy typically also opt for this beautiful rose variety. Traditionally, however, white roses are associated with new beginnings and marriages. Perhaps due to the fact that it symbolizes loyalty, secrecy, and trust. This is the reason why many couples choose white roses arrangement for their bridal bouquet. Nothing can symbolize the beginning of a new chapter in life quite like this stunning blossom after all. New romantic endeavors, or marital bonds? Which of this White Rose Meaning In Love do you identify the most with?